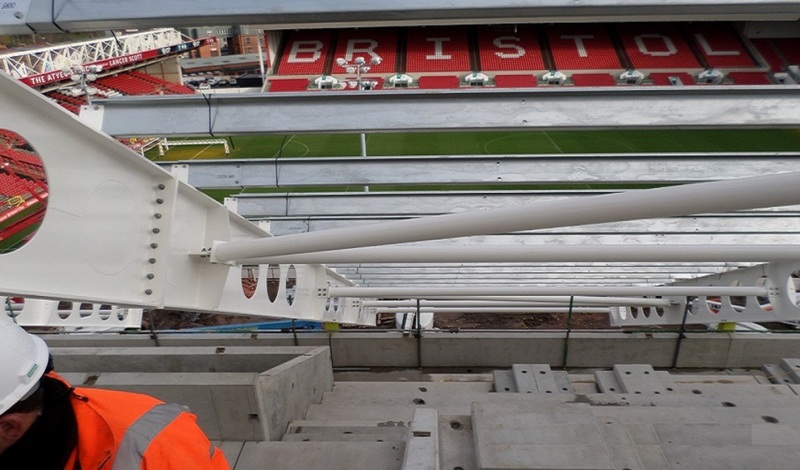 J & D Pierce (Contracts) Ltd. were awarded the circa 1,800t structural steelwork package for phase 3 of Bristol City FC’s stadium redevelopment at Ashton Gate. 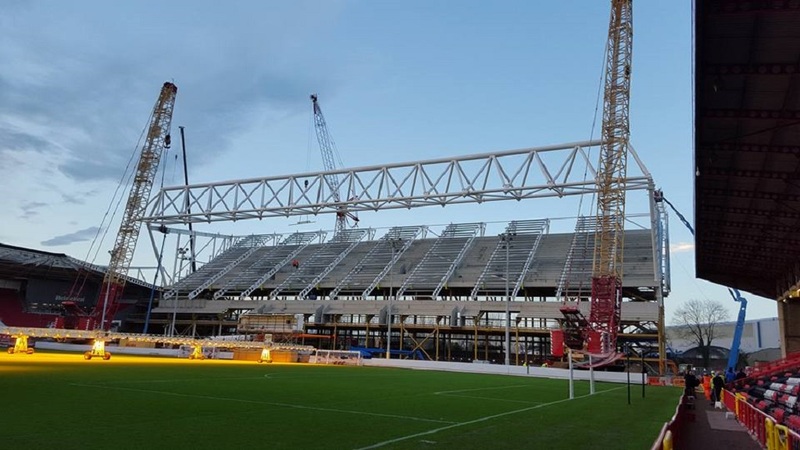 The stand has a triangular shaped truss spanning 108m, supported at each end of the stand. The truss is used to support the large span roof members. 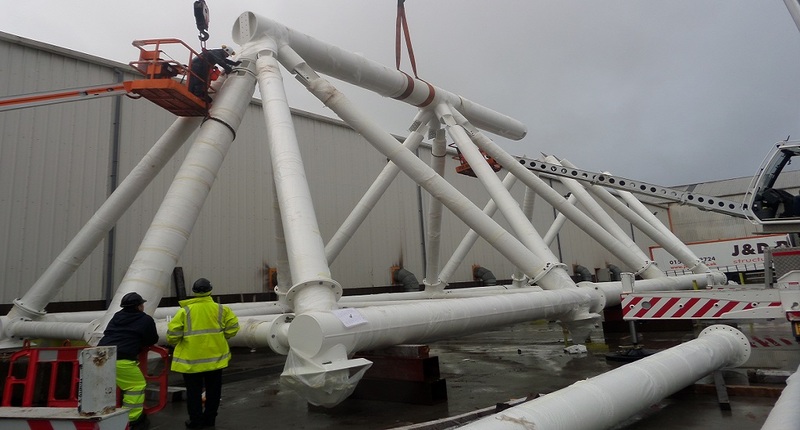 The whole methodology of construction and safe installation of the structure was developed by J & D Pierce’s own design and technical advisors, in conjunction with the main contractor, McLaughlin & Harvey, and structural consultants, Jacobs.